Since posting our Dark Souls 2 review, we thought that it was important that people engage in as much jolly co-operation in the game as possible. While FROM Software has done a great job to allow for players to hop into other worlds and help, there are some simple questions that we thought should be addressed. How many players can play Dark Souls 2 online? How do you begin a co-op session in Dark Souls 2? How does save game progress work for co-op play in Dark Souls 2? Can I join a game if the host is further along than me in Dark Souls 2? What is the difference between the small and normal white sign soapstones? How do the covenants in Dark Souls 2 affect co-op? I see people that look like ghosts running around in my game, what gives!? 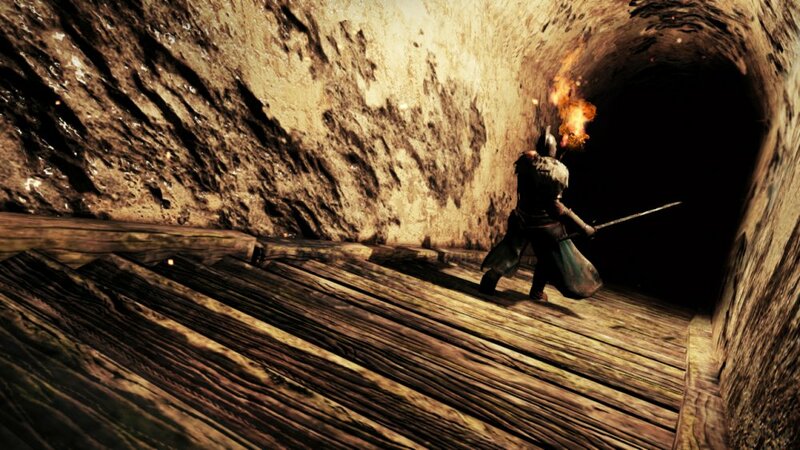 Dark Souls 2 can be played with up to 3 players online. A white sign soapstone is required for co-op. It is a very early game item given to you by an NPC near the Cardinal Tower bonfire. Once you have the stone, use it and your summon sign will be placed on the ground. Then you can continue on your merry way or wait until you are summoned by someone in another world. The person who is doing the summoning is required to be in HUMAN form. Story progress does not matter for either player when it comes to summoning. There are several factors that will limit when you can be summoned. The first is your soul level (character level), where both players need to be within /- 10 levels /- 10 percent of each other. The next factor is soul memory, which is the total amount of souls a player has collected with that character. To summon someone for co-op, the two players soul memory should be around /- 25 percent. This is not a hard set rule, as it is is much more lenient in the early game. Use it as a guideline to summon your friends. Finally, the host of the game will not see any normal summon signs if they have already killed the area boss, and therefore will only be able to see small white summon signs. The normal white soapstone allows for regular summoning, and remains consistent throughout the series. When you place a summon sign down with the white soapstone, it will appear only to players who have not cleared the area boss. When you are summoned as a phantom using the small white soapstone, it will appear to anyone in that area who is human. When summoned using the small white soapstone, the person appears as a shade and not a regular phantom. A shade will only be available for a short amount of time and will return to their world much quicker than a regular phantom. Each kill by the shade or the host shortens the duration of the summoning. There are a couple covenants that affect co-op play. The Way of the Blue covenant will automatically summon blue phantoms into their game when they are invaded. The Heirs of the Sun will receive Sunlight medals when they have fulfilled their duty to their summoner, which means killing the area boss or remaining in their world for an extended period of time. A phantom cannot interact with NPCs when summoned, nor can they see or pickup items while in phantom form. No one can 'screw up' your game when you summon them, so go ahead and get some help and engage in jolly co-operation. These are other players and you will see fain images of them from time to time. There is no need to worry, but simply take comfort in the fact that someone else is going through the same thing as you right now in Dark Souls 2. The message system in Dark Souls 2 is unique, as it is a self-curated messaging network that players can write to help (or harm) other players. While they have no effect on gameplay, the messages usually contain useful information and hints on how to progress in the game. To write a message in Dark Souls 2, simply hit the start button and go to the player menu, drop down and hit 'Messaging'. You will then be able to craft a message and hopefully help someone out in another world! Page created in 0.3460 seconds.